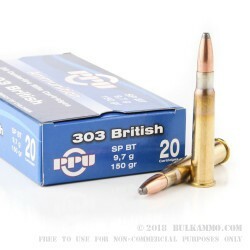 This 303 British cartridge by Prvi Partizan features a 150 grain soft point boat tail projectile. 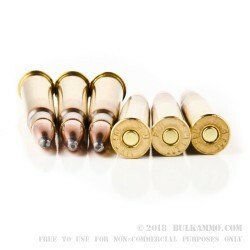 The bullet’s soft point provides devastating expansion on impact, controlled by its attractive copper jacket. 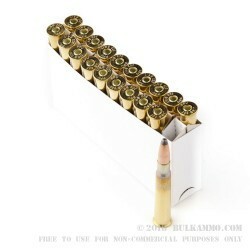 Its boat tail steadies the bullet’s path in flight, making this cartridge an excellent choice where accuracy is key. 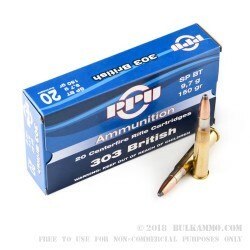 With its Boxer primed brass casing, this is a cartridge that offers tremendous ongoing value for your old Lee-Metford rifle.